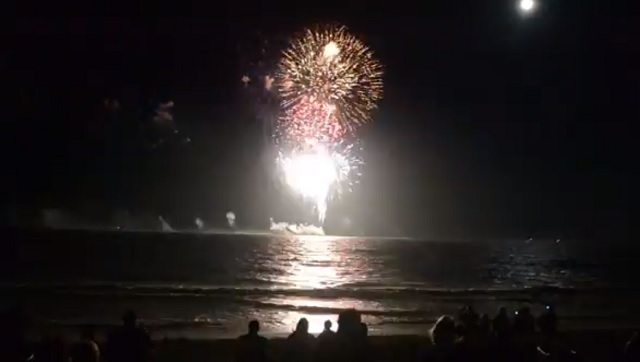 COCOA BEACH, Florida - The City of Cocoa Beach will have a fireworks display over the Atlantic Ocean to celebrate Independence Day on the beach near Sidney Fischer Park on Monday, July 3, 2017. The fireworks will start at dark (approximately 8:30-8:45 p.m. Eastern Daylight Time). The beach will be closed and there will be no beach access at Fischer Park on July 3, 2017. However, the Park will be open for parking and viewing from inside the park on the grass. Lori Wilson Park will be open for free parking and viewing purposes.